I wanted to use blue shadow, and make it a bit dramatic for evening. I plan on posting a makeup look every Monday. If you would like a video tutorial on how to recreate this look, let me know! I used Urban Decay’s Faint on the outer corner & crease. Then I added Urban Decay’s Blue Bus on the lid. I went over that with Mac’s Blue Orbit on the lid. I then lined my eyes with Mac’s Black Track, I also went into the crease and outer corner with the liner. 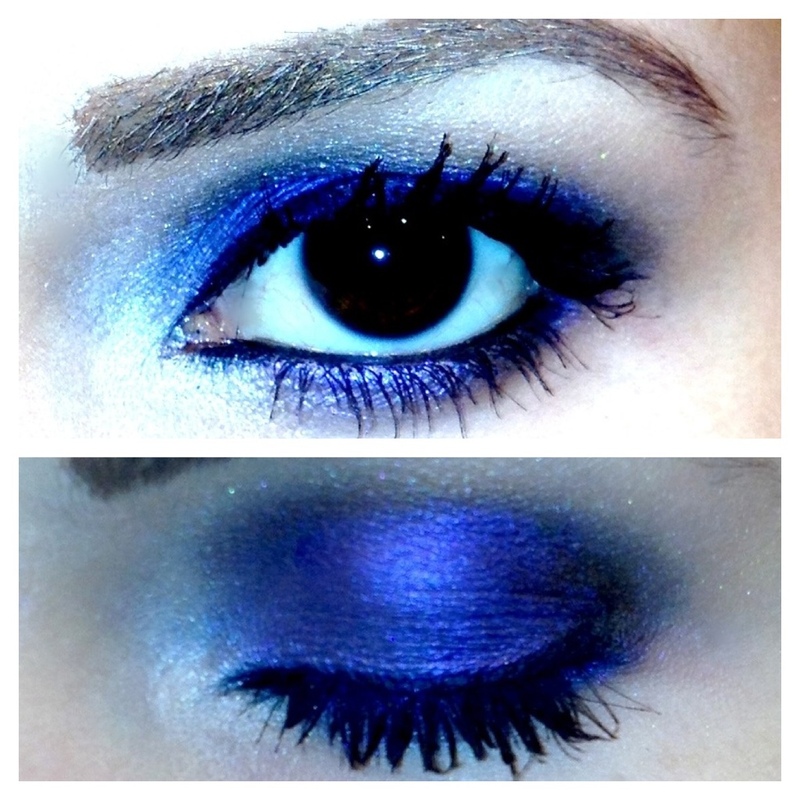 On top of the liner in the outer corner, I added faint again and blended it in with the liner and blue shadow. I blended in Urban Decay’s Foxy on the brow bone. Then I added a touch of Urban Decay’s Venus on the inner corner. Maybelline’s The Colossal Volum’ Express Mascara finished my look.